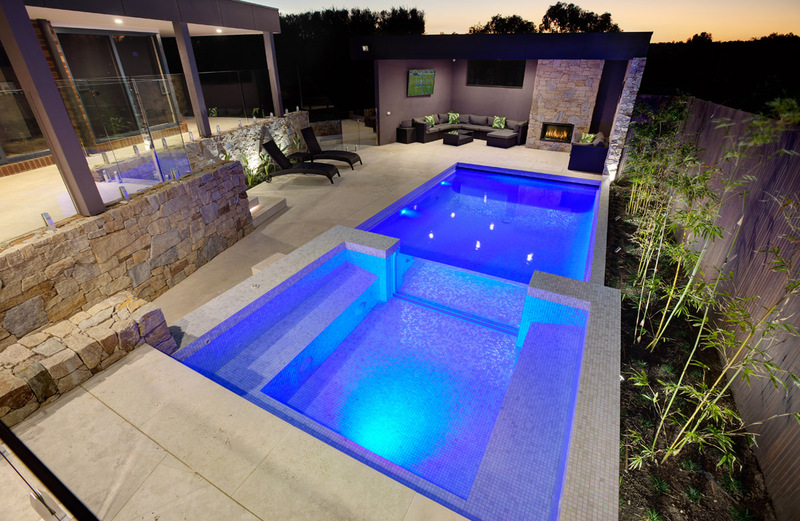 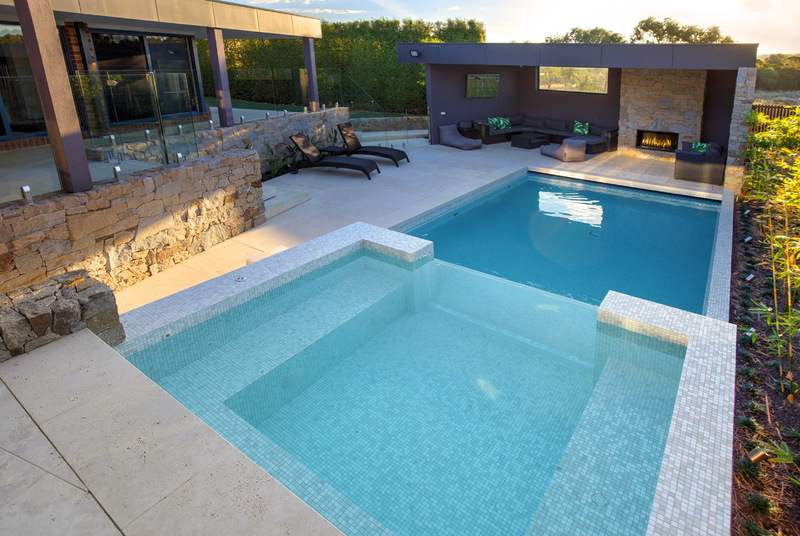 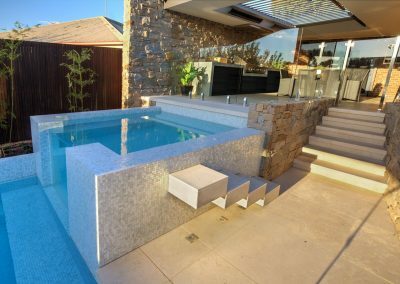 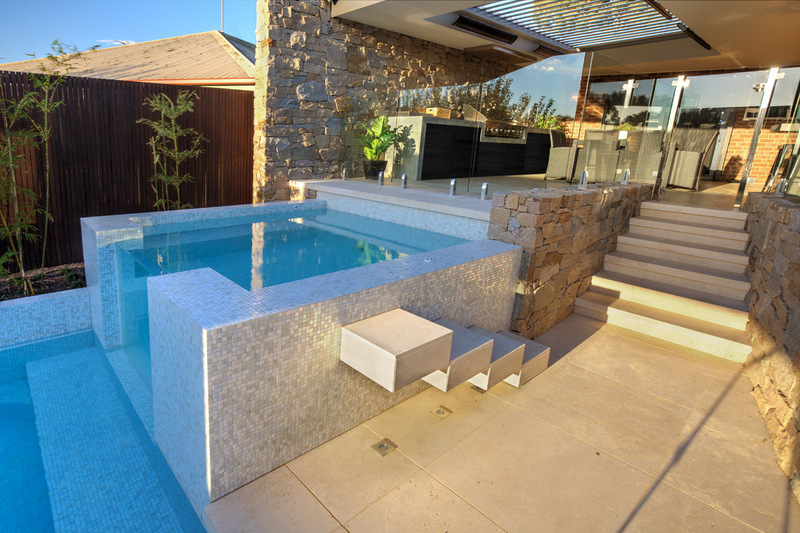 This striking glass tiled pool and spa has a clear feature window, cascading waterfall into the pool below. 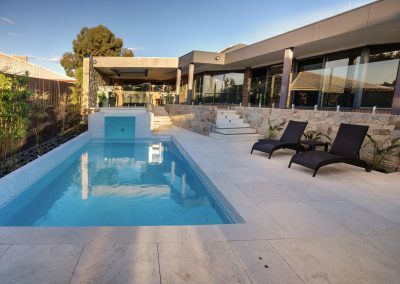 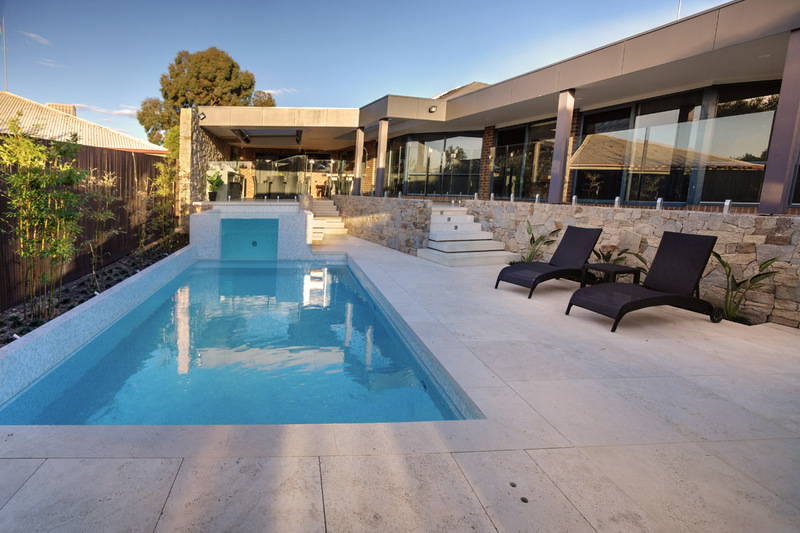 The pool is set amongst a combination of natural stone and timber with alfresco dining one end, an outdoor lounge & fireplace the other, all bathed in beautiful northern sunshine. 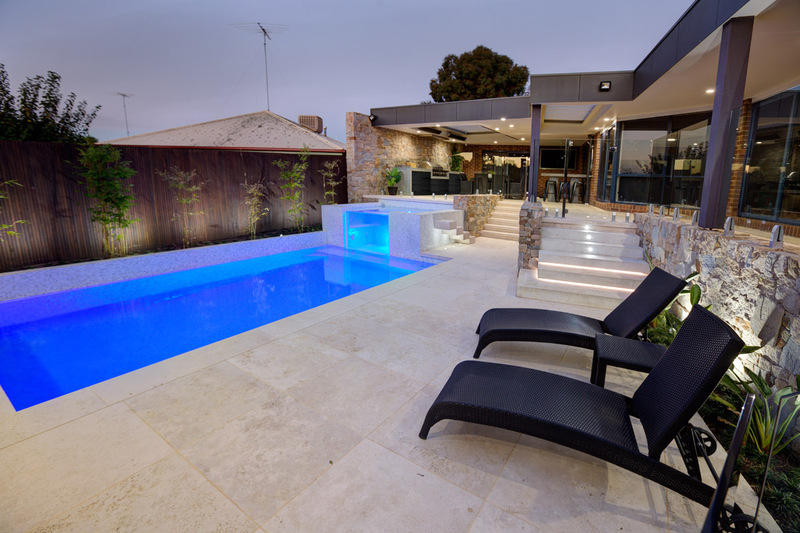 As the property is set on a sloping block, the outdoor area has been constructed on different levels creating a more interesting space. 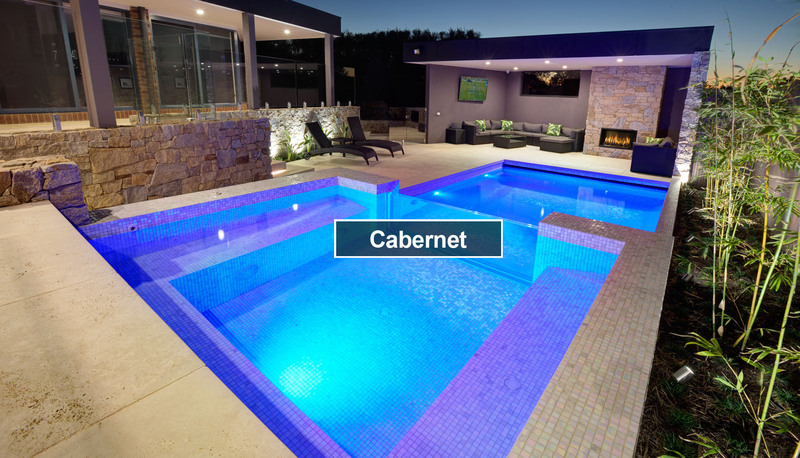 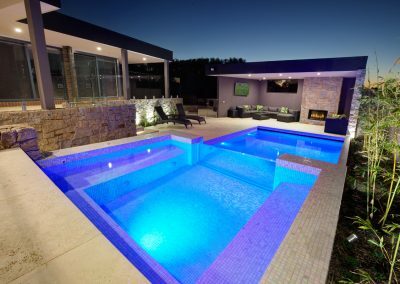 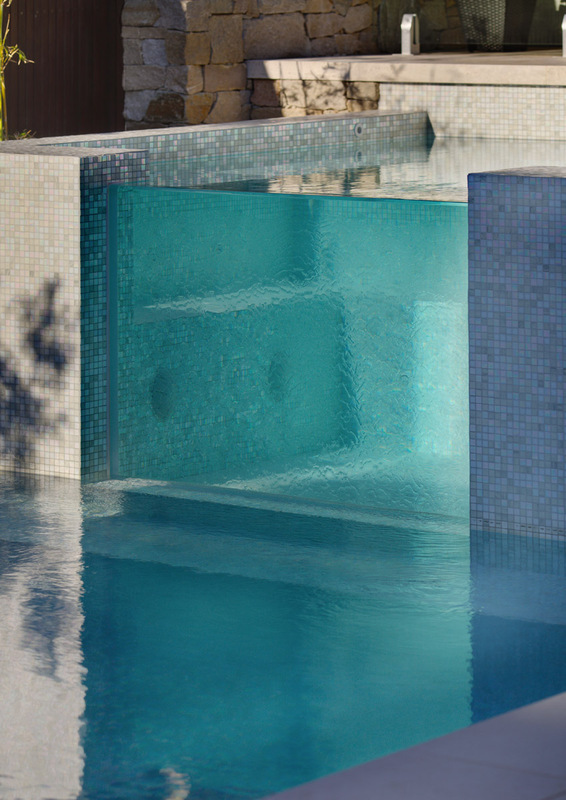 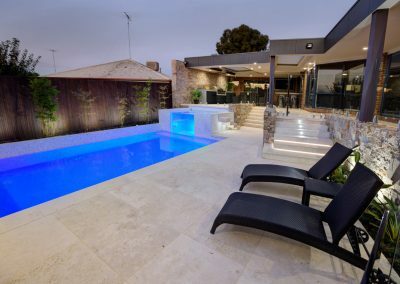 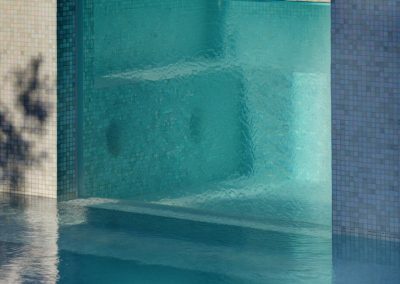 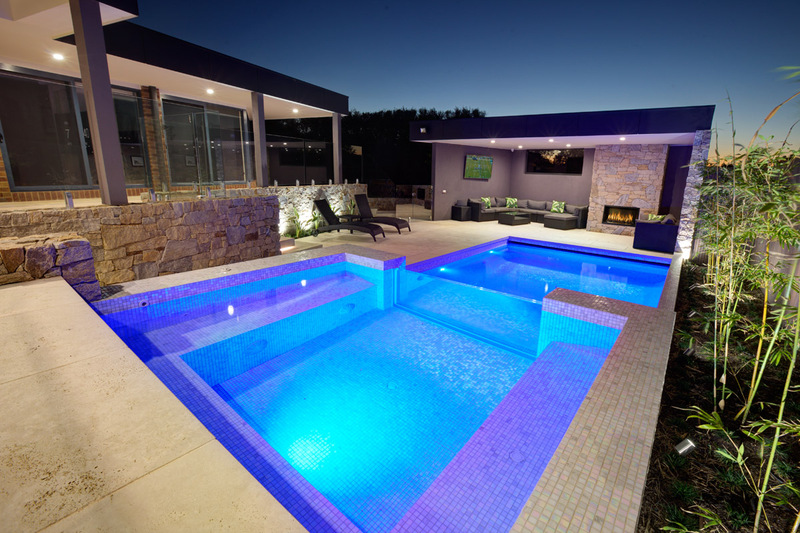 The pearl white glass tiles in this pool really add to the ‘wow’ factor, the water a gorgeous aquamarine during the day and a striking sapphire at night.